The Okyenhene, who led members of the Regional House of Chiefs to the Flagstaff House to call on President Mahama on Tuesday, challenged the president to call his supporters to order when they use insulting words against their opponents. He also asked the president to assure Ghanaians he will accept the outcome of an election petition filed by three leading members of the NPP including its flagbearer, Nana Akufo-Addo challenging the 2012 presidential results. But the NDC executives from his region in a statement insisted that the comments were “hypocritical”. The statement also labelled the Okyenhene’s visit to the Flagstaff House as a “politically sponsored” one and accused him of doing the bidding of the New Patriotic Party. But lawyer for the Okyenhene, Kwame Acheampong Boateng told Joy FM Thursday that the statement was “very unfortunate” and wondered the “political motivation or ulterior motive” in the chief’s requests that the executives sought to impute. He said the court case was of national importance and the Okyenhene would be “acting hypocritically” if he did not touch on it. Moreover, he remarked that the chiefs were equally “satisfied” with the president’s “excellent response” to the issues they raised. He therefore wants the group to withdraw the statement and render an unqualified apology to the Okyenhene. He however contradicted earlier position by Nana Osei Nyarko III, Vice President of the Eastern Regional House of Chiefs who told Joy FM’s Top Story on Tuesday that the chiefs went to the Flagstaff House on their own “volition”. According to Mr Acheampong the chiefs were invited by the presidency. Meanwhile, Deputy Secretary of the NDC in the Eastern Region Matthew Doe stated on Top Story that they have carefully examined the comments by the Okyenhene and believed they had political undertone, saying they take exception to those comments. He indicated that it was difficult for them to accept the fact that the Okyenhene ostensibly bypassed one of the petitioners, Nana Akufo-Addo whom Mr Doe preferred to refer to as the Okyenhene’s son because they both hail from the same community, and fouled the chief for rather choosing to talk to the president first about the court case. Mr Doe criticised the Okyenhene for missing the opportunity to address some unfortunate incident which nearly marred the recently held parliamentary elections in his area instead of trying to meddle in politics when he met the president. 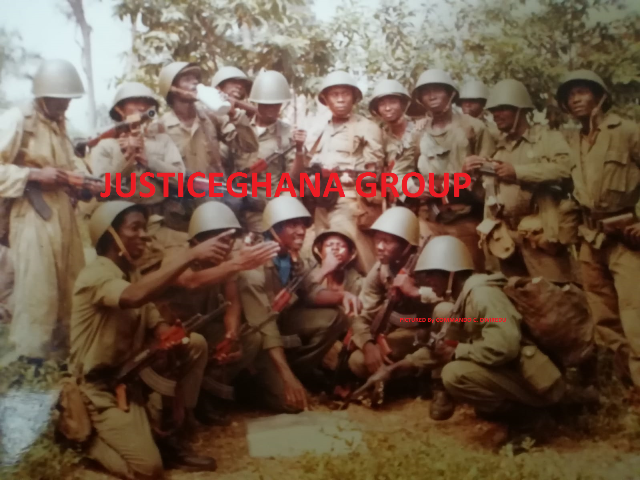 He insisted that the executives would not withdraw the statement the Okyenhene considered disparaging. But Kwame Acheampong Boateng said if the group failed to heed their demand, they would take the matter up to the party hierarchy to ask them to condemn the statement and call the executives to order. And if those avenues fail, “we will advice ourselves on it when it becomes necessary”, he said.